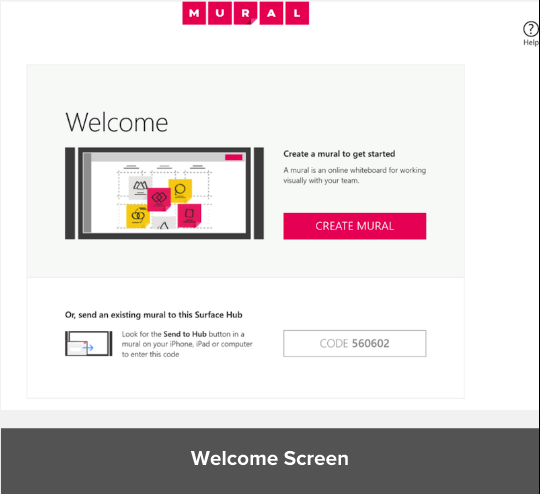 Get started quickly with the Surface Hub. 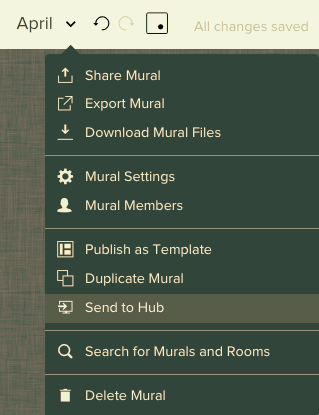 Enter the mural you wish to send to the hub, and select 'Send to Hub' from the mural's drop-down menu. 4. 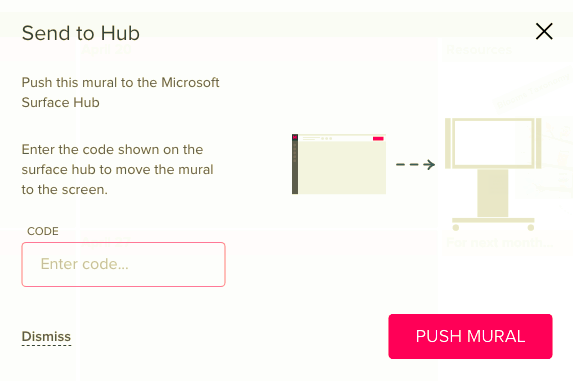 Enter the code that appears on your Surface Hub. 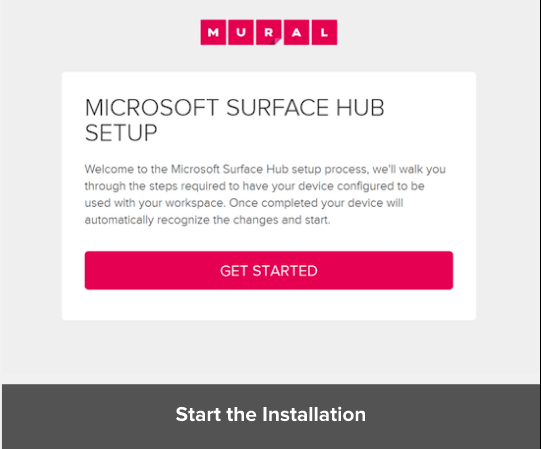 If you need to start the installation manually, open the MURAL app on the Hub, click on the link ‘Connect a MURAL workspace’ in the bottom of the screen and follow the instructions. 2. The next steps happen in a browser, and you are able to complete the installation on the Hub (using the link), or on a mobile device (using the QR code). 3. 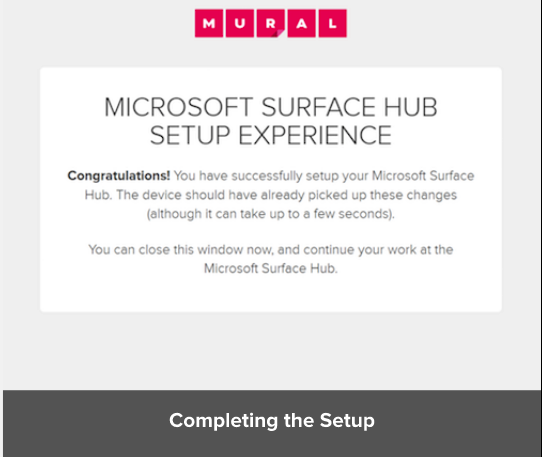 Push the 'get started' button to start the installation. 4. 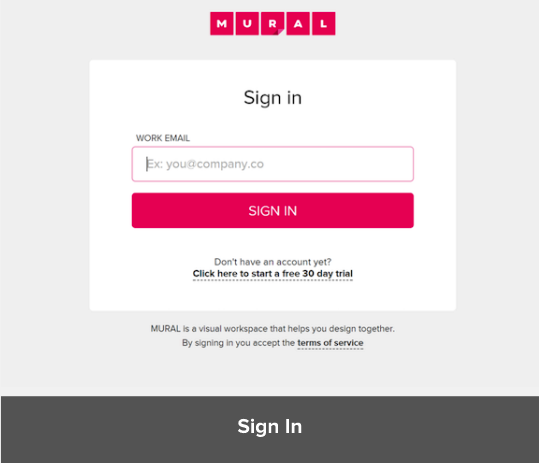 When prompted, use the same login credentials (email and password) that were used for creating your MURAL account. 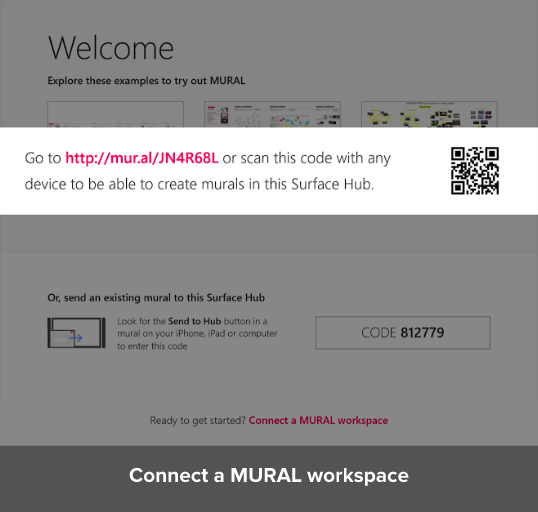 This is how MURAL will connect this Hub to the correct workspace. 5. Review the available workspace(s). Make sure that the appropriate workspace is selected. 6. The browser portion of the setup should now be complete. The Hub display should refresh in a minute or two, completing the setup on the Hub. 7. After finishing the installation process you may see the previous screen for a few seconds, but it should eventually refresh automatically to show you this screen. This is also the first screen you see upon launching the app. 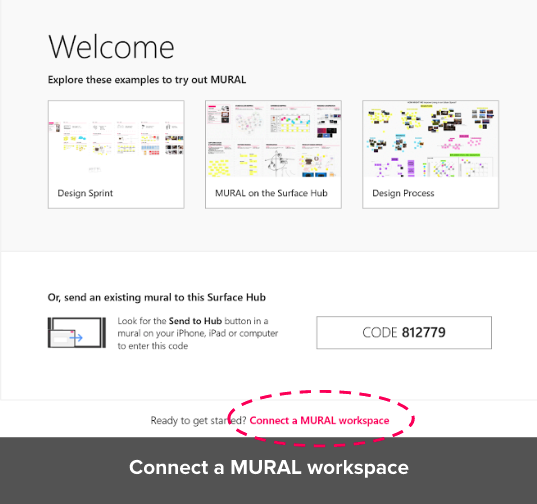 **Note: Each time MURAL has been installed on a Surface Hub, the Hub will create a user in the MURAL workspace. 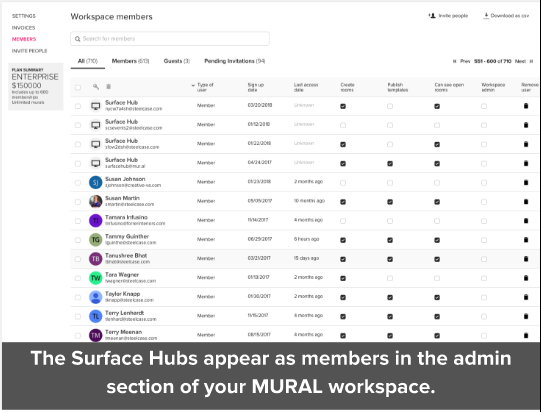 The Surface Hubs will show up in the list of members in the admin section of the workspace. 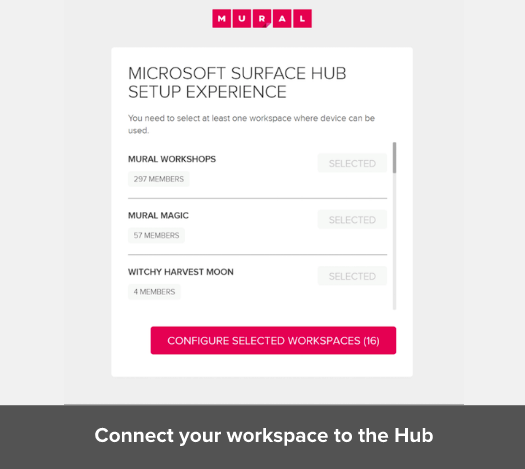 Do not delete the Surface Hubs from the list of users since this will undo the installation of the Hub.